Even if you’re not an early riser and prefer the land of the night owls, the 10 tips below will help you to get the day started right and make the most of your mornings. In an ideal world, we’d wake up to birds singing and little mice helping us with our morning chores like a Disney movie. Unfortunately, most of us wake up 15 minutes late with bed-head, lunches to pack, and no gas in the car. Learning how to make the most of your mornings is a process for people who aren’t naturally good-natured when they wake up, but it isn’t impossible. Prepare for the next day the night before. Set out your outfit for the next day (and your kids’ outfits if they aren’t old enough to do it themselves). Use the auto-brew function on your coffee maker if you’re a coffee drinker. If you go to work, pack a lunch the night before. Having the things you need for the next day ready the night before will give you more time in the mornings and leave you feeling less stressed. Go to bed! Often, our busy lives take over and we use the late-night hours to finish up extra tasks or just unwind. As tempting as it is to stay up late folding laundry or watching reality television, try and resist the temptation and get at least seven hours of sleep, which is the recommended amount for adults. If you’re working to reclaim your sanity, it’s time to say “So long!” to the land of the night owls. Wake up earlier. Multiple studies show that people who wake up earlier are happier, better problem solvers, and generally more optimistic. Plus, getting a good night’s sleep and waking up earlier will give you the time you need to do the things on this list, like exercise and eat breakfast. This one will be most painful to put into practice, but once you adjust, you’ll be grateful to have put in the extra effort to make this important change to your daily routine. Don’t press the snooze button. You may want to press the snooze button to steal an extra 10 minutes of sleep, but doctors say you should set your alarm for the same time every day and get up as soon as you hear the buzzing. Pressing the snooze button confuses your internal clock and puts you in “sleep inertia,” so you may feel groggy for up to four hours after you actually get out of bed, instead of feeling rested at the end of the extra few minutes of sleep. Visualize your perfect morning. Think about what you want your perfect morning to be and you will be more likely to make it happen. If sitting quietly while you sip your coffee is your goal, do the things necessary for that to happen. Set your intentions for the day and choose joy and peace. Exercise…or at least stretch. Elevating your heart rate with exercise, or at least stretching and activating your muscles, will energize you and set the pace for a day of action. An added benefit of working out in the morning is increased metabolism. A good stretch with a few moments of meditation can help you channel peace as you navigate the morning rush. Eat breakfast. There is a reason doctors say that breakfast is the most important meal of the day. Eating a breakfast high in protein will jumpstart your metabolism, give you energy, and allow your mind to better focus on the work you need to do. Don’t skip! Set a great example for your children by encouraging everyone to enjoy a well-balanced meal before heading into the day. Prioritize. Even if you wake up early and start your day on the right foot, the morning can’t last forever. Prioritize the things you want to get done so that you are checking the most pressing items off of your to-do list. 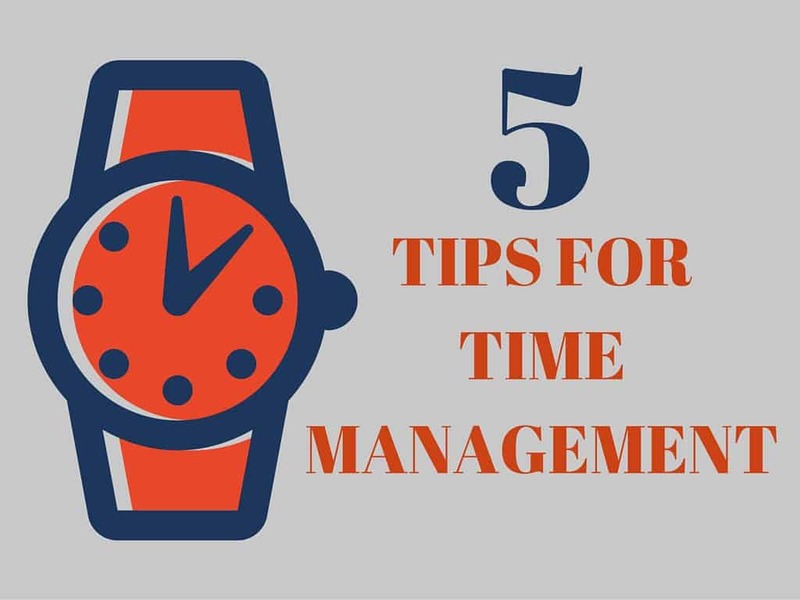 For example, if you know you do your best work in the morning, put off unloading the dishwasher or putting in a load of laundry for later in the day and focus on the report you need to review or the meeting you need to prepare for. Stick to a schedule. As shown above, waking up at the same time every morning will make it easier for you to feel refreshed. Likewise, having the discipline to work out when you plan to, eat breakfast regularly, and generally stick to a defined timeline will help you streamline your morning effectively. Make it a habit. It takes 30 days to make (or break) a habit. Try your best to have an active, regimented morning routine for 30 days to fully see the results of the steps to make the most of your mornings. I’m notorious for hitting the snooze button knowing that I’ll regret it afterward, but I just can’t help it! I rationalize my hitting snooze by telling myself that I have a visual map of where everything is and what I’m going to do every morning, but I still end up late getting out of the door. I’ve decided this has to stop because it’s getting old. LOL Thank you for sharing great tips on prioritizing, they’re extremely helpful. I’m so glad you enjoyed it….and confession. I hit the Snooze button this morning. Twice! I’ve been slacking. Time to snap back into the routine! I strongly recommend morpheus tv apk movies on your device can make the most of your mornings. Morpheus TV Apk(https://morpheustvapkdownload.com/morpheus-tv-apk/) is now showbox killer app to watch unlimited movies and tv shows. I just read your article it was some nice tips make your morning and I suggest TWEAKBOX app to watch unlimited movies and Tv shows. Best Android app to download any Movie app you love for free is FileLinked. Watch million of movies and TV shows using best Movies apps. All those apps are available on FileLinked. Download Latest version of FileLinked and get free access to all those filelinked stores. Best Android market place for any Android application. AC Market Apk works similar and looks like play store with added features. You can download and install any Android app you want for free no geography limitations and registration required. You can find any apps there and contain many paid apps for free. Best Android store is AC Market. Make the most of your morning with this post. Best Android market place for any Android application. AC Market Apk works similar and looks like play store with added features. aking up at the same time every morning will make it easier for you to feel refreshed. Likewise, having the discipline to work out when you plan to, eat breakfast regularly, and generally stick to a defined timeline will help you streamline your morning effectively.